Highlights as Stoke took on Manchester City in the Premier League. Two goals each for Sergio Aguero and Nolito secured a 4-1 win for Man City against Stoke at the bet365 Stadium on Saturday afternoon. Aguero continued his fine start to the season with his fifth and sixth goals of the campaign to put the visitors in control at half-time. Having missed two penalties in midweek against Steaua Bucharest, he sent Shay Given the wrong way from 12 yards to open the scoring in the 27th minute, and the striker swiftly added a second with a fine header nine minutes later. Bojan Krkic pulled one back from the penalty spot for the hosts (49), but Nolito wrapped up the three points for Pep Guardiola's side with two late goals (86, 90+5). Guardiola made one change from Man City's Champions League first-leg win as Willy Caballero continued in goal, and the visitors picked up from where they left off in Romania. Aguero, who hit a hat-trick in the 5-0 victory but fluffed his lines twice from the spot, made no mistake this time after referee Mike Dean penalised Ryan Shawcross' grab on Nicolas Otamendi at a corner. Raheem Sterling had twice gone close before Aguero's strike as a jittery Stoke defence struggled to cope with Man City's movement, and the Argentina striker soon doubled their advantage. He rose well to head home from Kevin De Bruyne's delivery to give his side a deserved lead at the break. 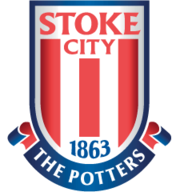 But a sloppy start gifted Stoke, who had a penalty appeal ignored just before half-time, a route back into the match. Referee Dean had waved away Joe Allen's first-half claim but pointed to the spot when Sterling, tasked with defending Shawcross at a corner, failed to play the ball. Bojan stepped up for the Potters and confidently finished from 12 yards to halve the deficit. The hosts went close to an equaliser when Allen's curling corner almost caught out Caballero at his near post, and they had another penalty appeal denied when Jon Walters went down under Sterling's challenge with 10 minutes to play. The introduction of Kelechi Iheanacho changed the complexion of the closing stages as the Man City substitute played a key part in Nolito's late double, sealing victory in Guardiola's first Premier League away game. He latched on to David Silva's through ball and rounded Given before showing good composure to square for Nolito, who drilled home his first Premier League goal. The new Man City signing didn't have to wait long for his second, tapping into an empty net deep into stoppage time after Iheanacho's dummy allowed Sterling to race clear and set up his team-mate. 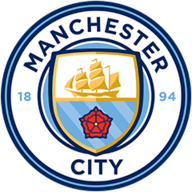 Alan McInally reflects on Pep Guardiola's first away match in the Premier League, as Manchester City visited Stoke City.